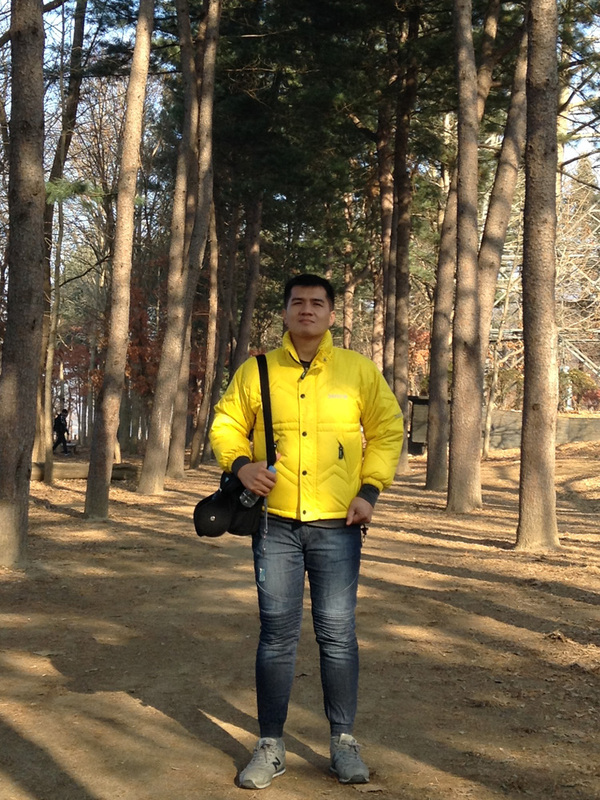 For our last full day in Korea, the last thing to visit was Nami Island. For days, we have been checking Instagram with #NamiIsland to see if it is snowing there. But unfortunately, until the morning that we had to go, there was none. We actually had nothing else to do, so we might as well continue there. But one thing that has not changed was the sleeping/waking match during the trip. Mon, of course, can nap once he takes a seat. Meanwhile, I had to stay awake unless we want to miss our stop. We arrived around lunch time, thus we had to eat first because we did not fancy eating anything in Nami. There was this restaurant near the parking lot, and it was surprisingly not packed with tourists. While having lunch, though, I have been receiving messages from work due to some “office emergency”. After lunch, we went straight ahead to the wharf along with the others. It only took around 3 minutes before the next ferry arrived. From the glass window, I was looking eagle-eye at Nami Island to see if there was snow. Yup, there was really none. It was going to be an autumn in December, then. 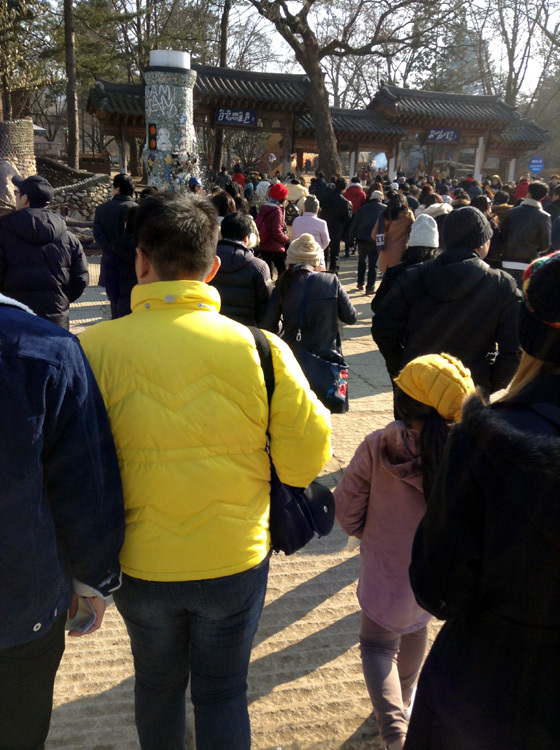 Upon arriving at Nami Island, tourists usually turn right, straight to where most sights were. We, on the other hand, took a left turn, so that we can avoid the other tourists. We never managed to visit this side of the island because Mon had been freezing, even before reaching the metasequoia tree lane. Out of all the tourists who disembarked, there were about eight of us who went the other way. It was a fine Monday and we can’t be thankful enough of the overcast weather because we had to go to UP Los Baños and submit the requirements for Lot’s dormitory application. 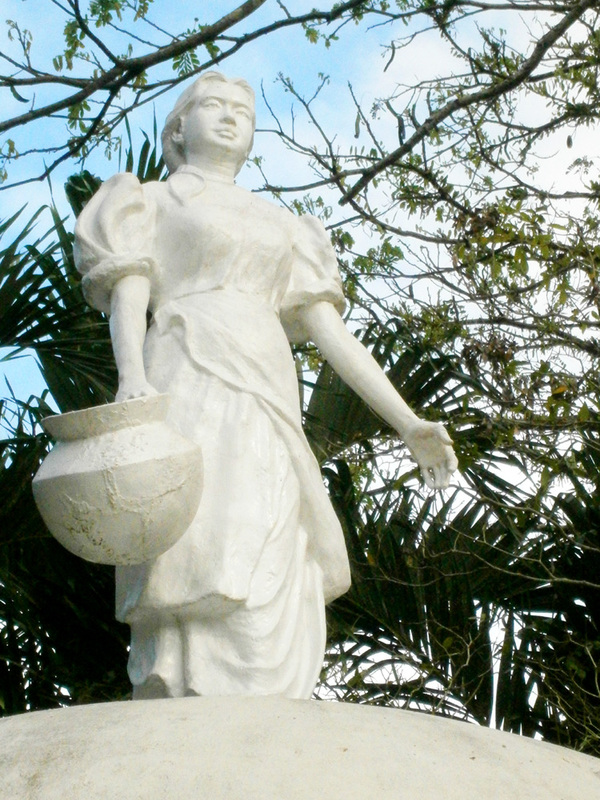 After leaving our things and the office and the collared shirt I would be wearing for work, Mon and I went straight to the Taft area to ride a bus going to Los Baños. To our surprise, the JAM Liner terminal there did not have any bus departing for Sta. 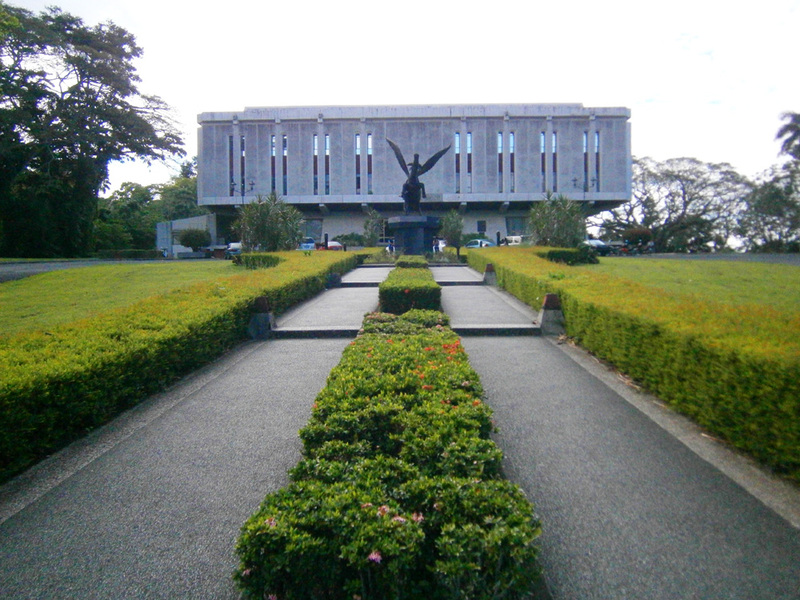 Cruz, the route passing by College, to UPLB. One of the drivers there told us to go to Green Star’s terminal few meters away, and we had barely missed the bus because it was already in the highway, about to leave. An hour and a half, we already arrived at our destination. 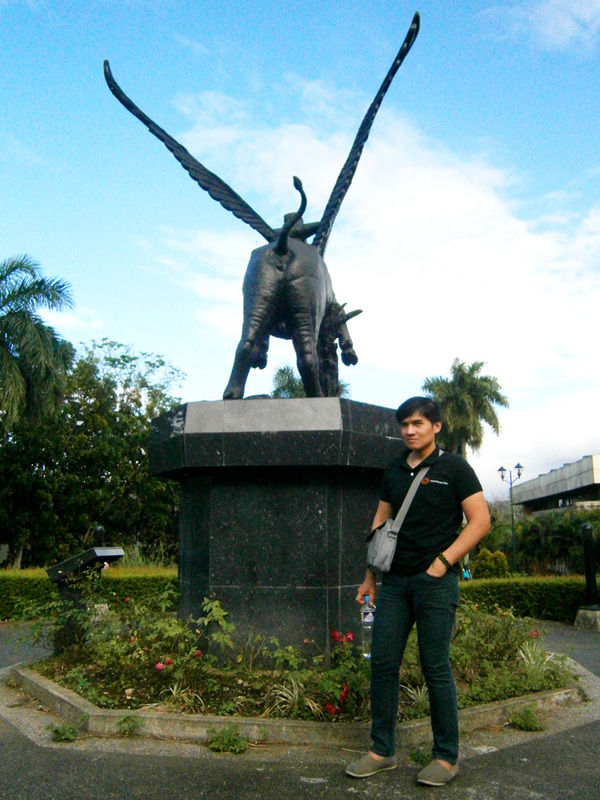 I was really excited to go there again because I haven’t been to UPLB for a very long time. I have extremely fond memories of the place and seeing the familiar environment brought the feeling back. When we were about to disembark, I remember checking the people online on Facebook to see if some of my friends from Elbi were online. Good thing, Russel was available and I messaged her immediately so we can meet up with her. 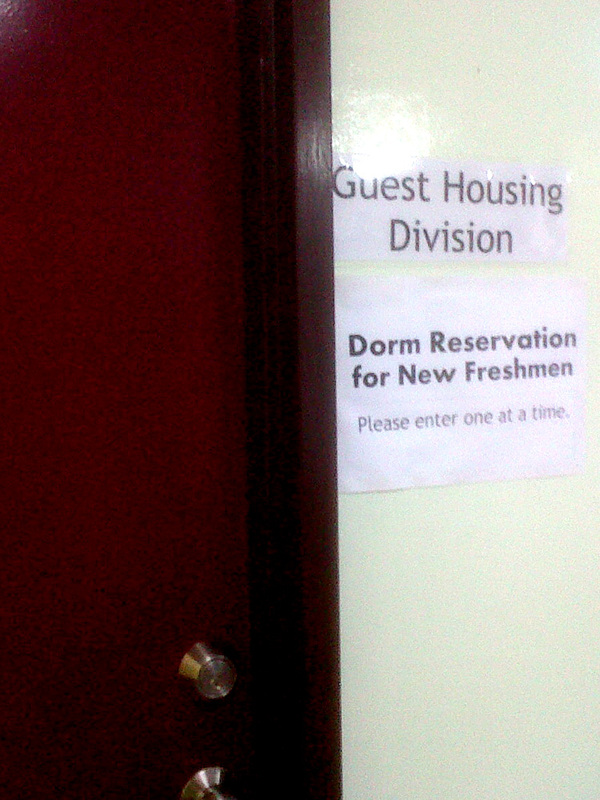 But we first had to go to the University Housing Services to submit the application requirements. 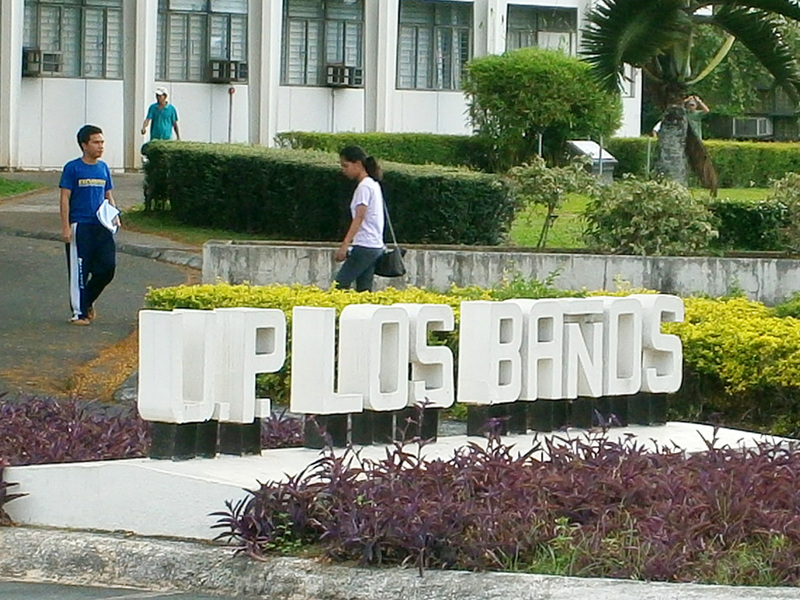 The University Housing Services is located just behind the College of Development Communication, near the Carabao Park just after the university’s entrance. We thought there was a long line of students waiting to be entertained but they were actually queueing for something else. We just entered that door above and was entertained by the lady in charge after finishing a phone call (and from what I’ve heard, I inferred that it was an inquiry in sending the application via mail). If only we were not hoping to secure a good room slot for Lot, we could have just sent her application via mail as well. However, it was a first-come, first-served application and every moment counts. In less than five minutes, then, we were done with our ‘mission’ and we had to do something else. 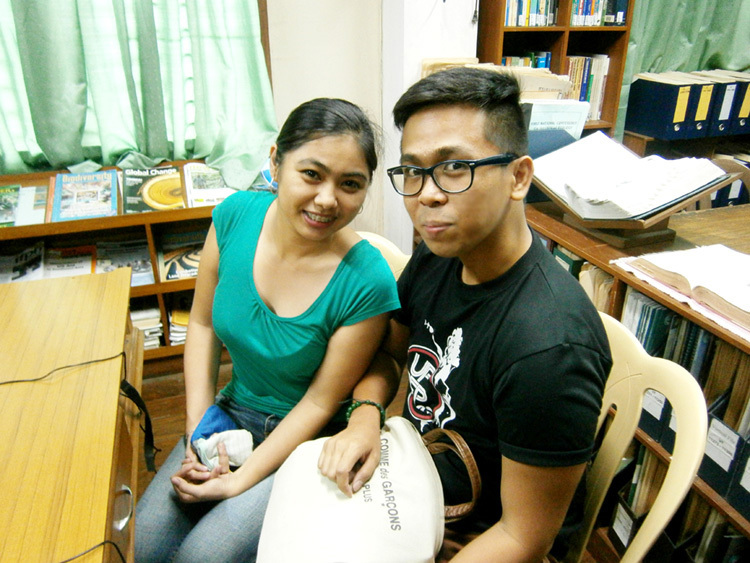 I called Russel and she was in a library near BioSci, just behind the University Registrar. So we had to walk from the Housing Services and passed by the Humanities building. 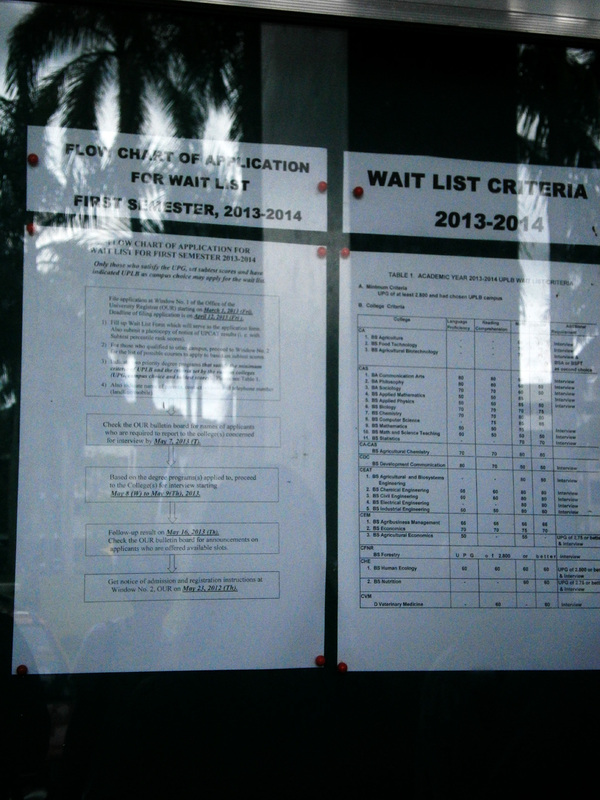 We also saw a group of people in the Registrar, looking at two sheets of paper containing information about the wait listing process in UPLB. 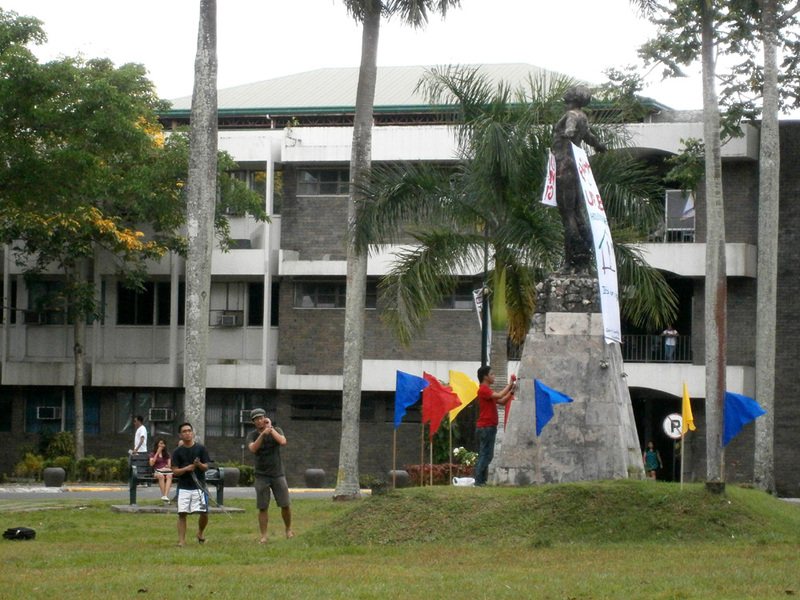 Then just as we reached the parking area in front of BioSci, I immediately saw Russel waving from a distance and I was so happy to see her. =) She was busy finishing her graduate thesis and was hoping she’d finish it in time, thus graduate this semester as well. Good thing the library was quite lax and did not require us to present our ID. 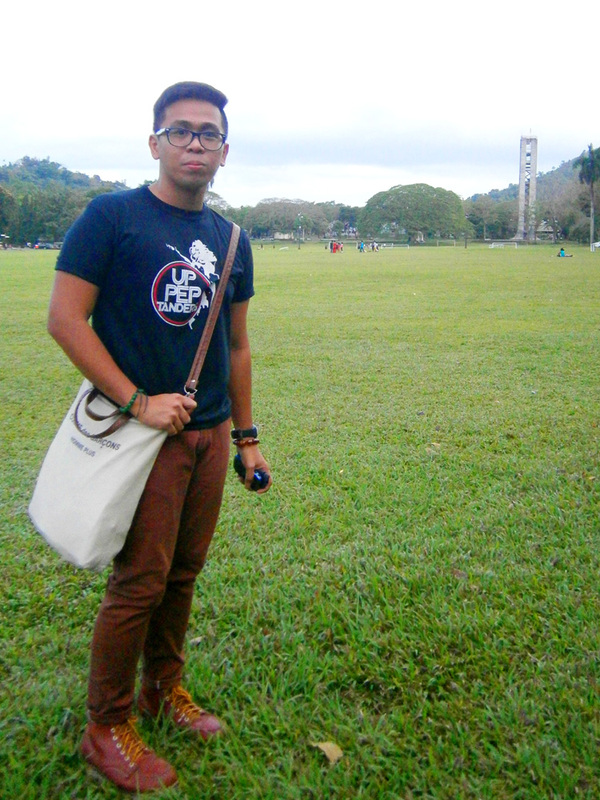 After a few minutes of catching up, we eventually left to walk around the campus because of the impending downpour. 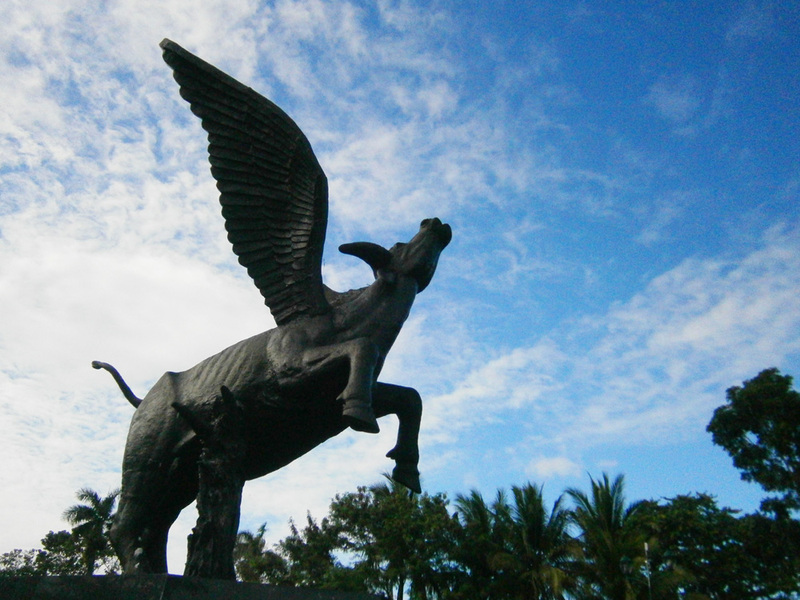 The nearest attraction was the Pegaraw in front of the Main Library and I wanted Mon to have a closer look at the peculiar sculpture. 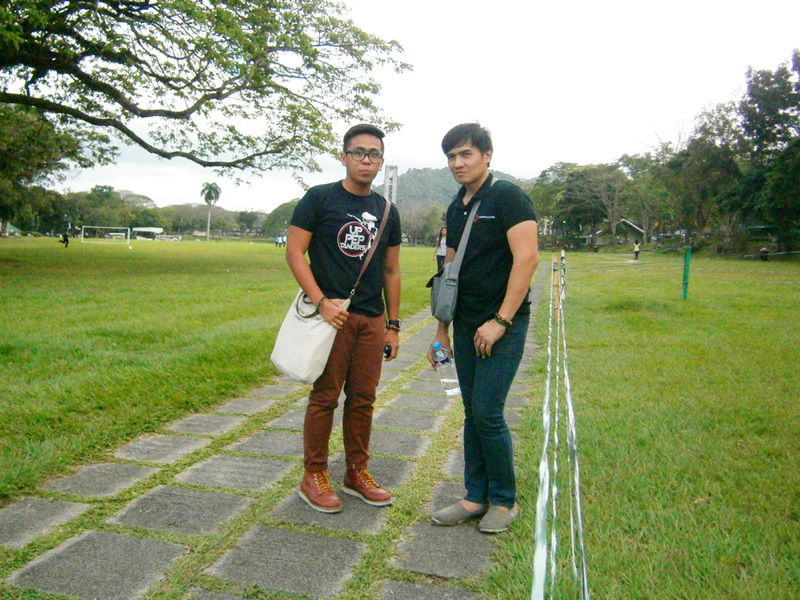 We then scrapped our walking-for-leisure pace because we still had to travel back to Makati. We wasted no time going to the Freedom Park to have a look around; and we also had a great time having our pictures taken, albeit quickly. Just an hour earlier, we were so worried that it might rain but the moment we set foot in the Freedom Park, we realized that we stressed ourselves out for nothing. 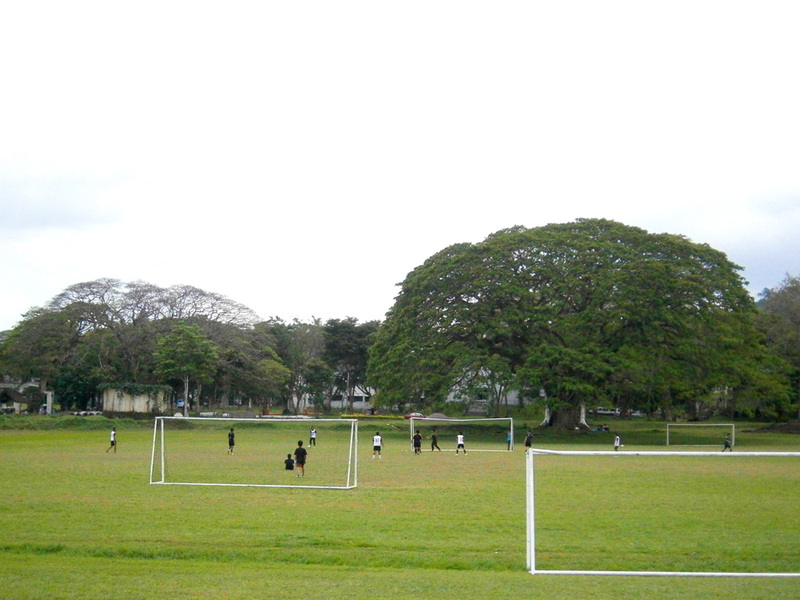 In true UPLB fashion, the weather was unpredictable. We left UPLB at around 4:30 PM but it took us almost 20 minutes to reach Olivarez again, as the traffic was horrendous. Contrary to what I’ve expected, there were also few buses bound for Manila passing by and we had to wait for 15 minutes just to catch one. We rode an HM Transport bus with ‘Cubao’ signboard and we asked the driver if we could get off in Ayala. 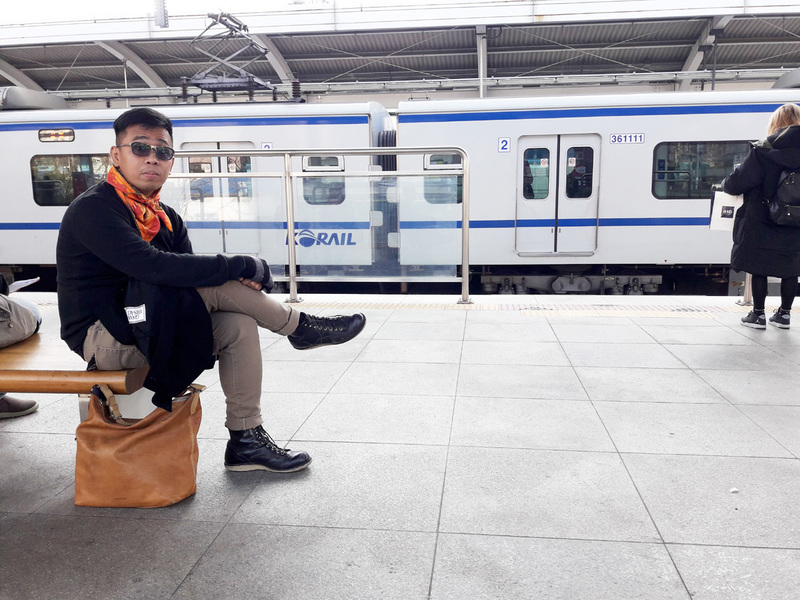 But to our dismay, they won’t be stopping there so we just opted for the Magallanes stop. 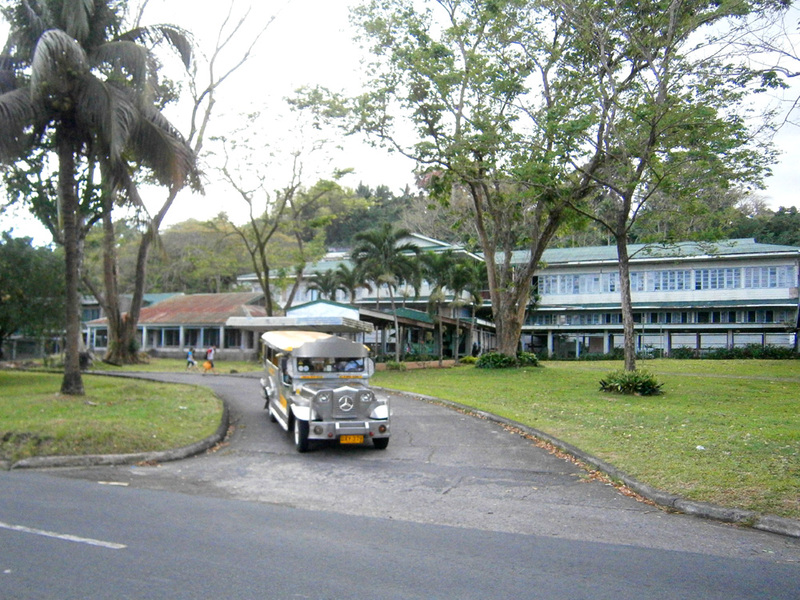 We also paid about Php 95 each, more than what we paid from Taft to Los Baños using Green Star liner (i.e. about Php 73 each). But I guess we were still lucky because the bus driver told us an hour and a half after (yes, the flow of traffic from Los Baños to the entrance of SLEX was ridiculous), just as we reached Magallanes, that they would be dropping us off to Ayala instead. Yay! No more MRT! 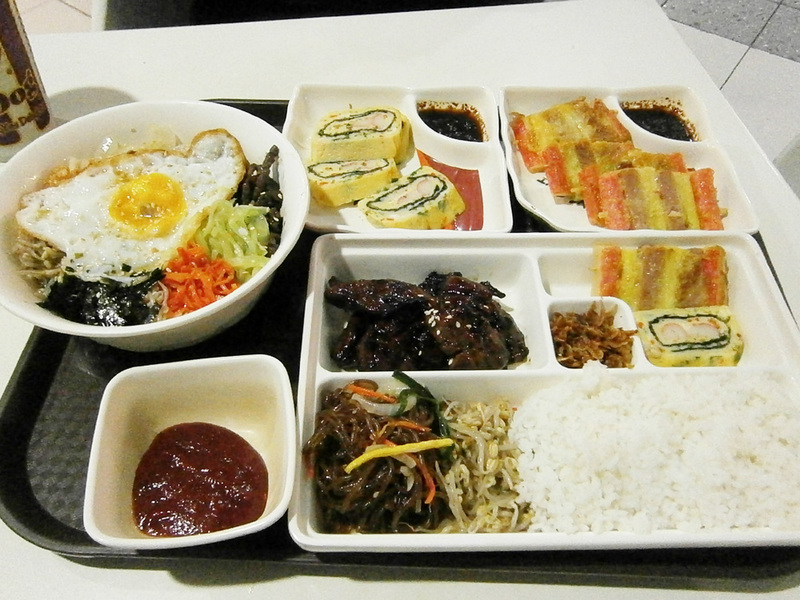 We then had a good dinner at our favorite place in Glorietta’s Food Court, Kim n’ Chi! We were so hungry because all that we had eaten during the whole trip was two pieces of butternut doughnuts, a can of iced coffee, a pack of Piattos and a liter of bottled water. I initially wanted to suggest eating dinner in Los Baños but we would have definitely arrived much later given the slow travel back. Anyway, I’m still looking forward to going back to UPLB next week in the happy event that the dorm application turns out well! 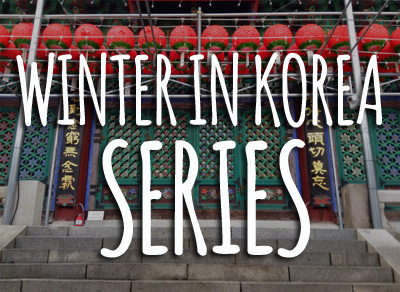 Winter in Seoul: Food, food and food (on the cheap)! 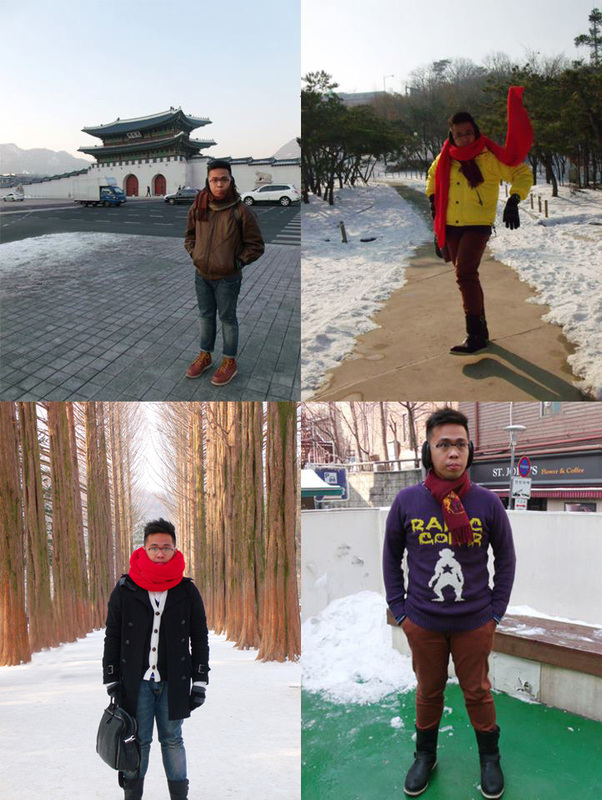 Before we visited Seoul in 2011, I was really worried over our food, as well as the amount of money we had to allocate just for it. However, we were surprised that we were able to survive that first time without having to tighten our belts and pinch the penny, and we were actually very liberal with the food we ate. 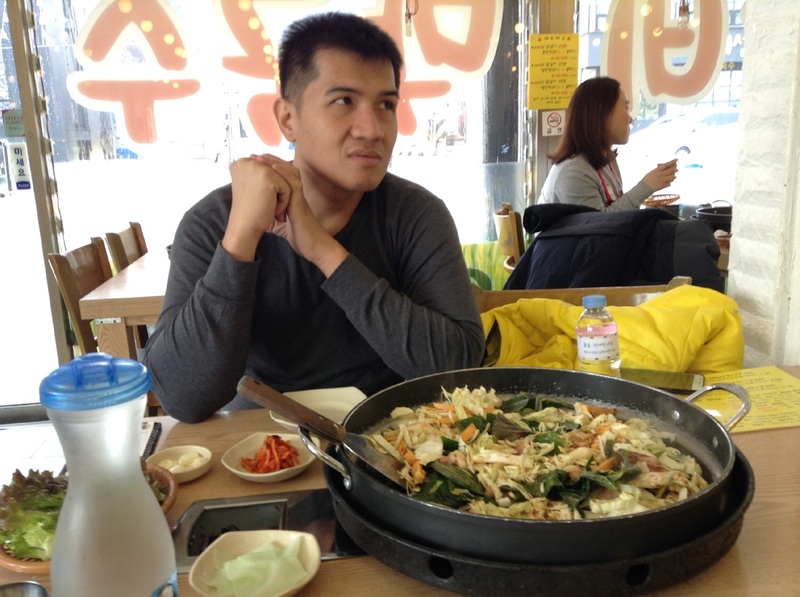 So for 2012’s vacation, I did my best to take note of every food we had, as well as their prices, especially for those who might be worried about surviving in Seoul and not having to eat from convenience stores every single meal. 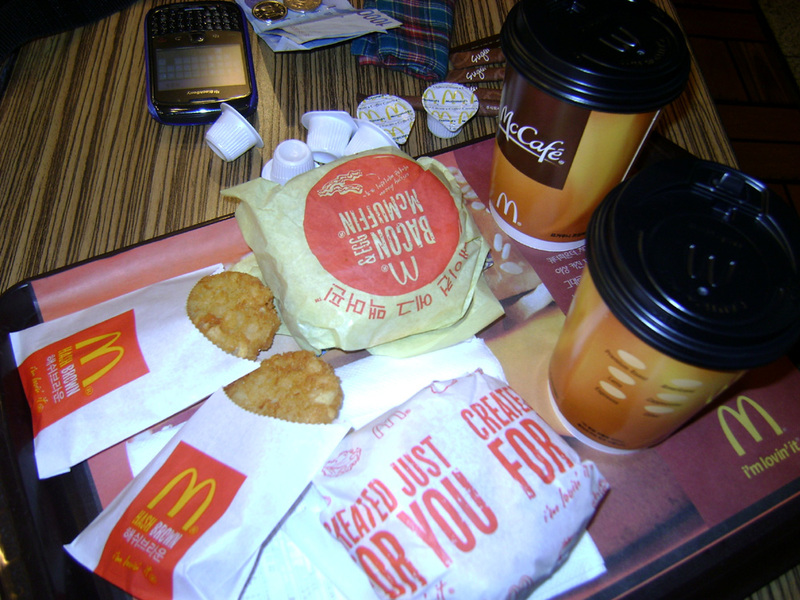 Arriving in Incheon International Airport, we had our first meal of the day from McDonald’s, right next to the heavily-decorated fountain. KFC was located on the other side BUT wow, their menu was really expensive. 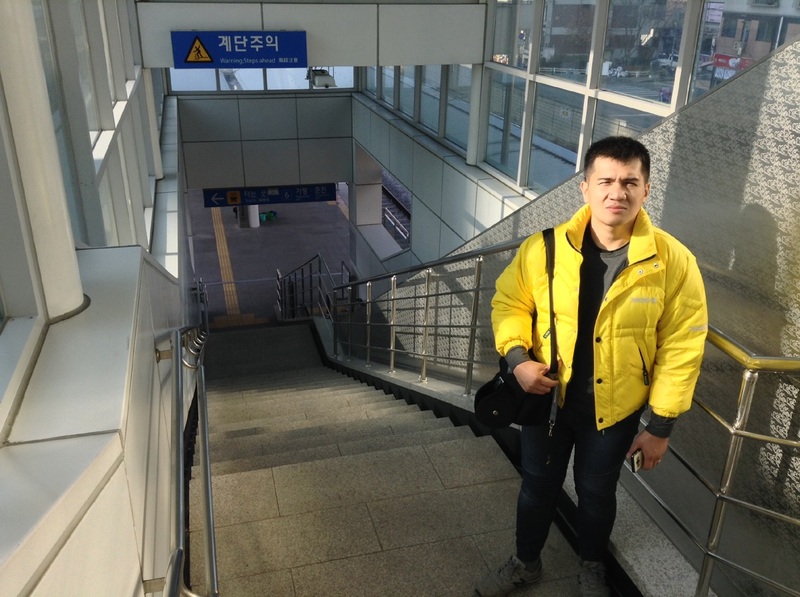 An average meal costs at almost KRW 10,000 for an all-chicken meal. 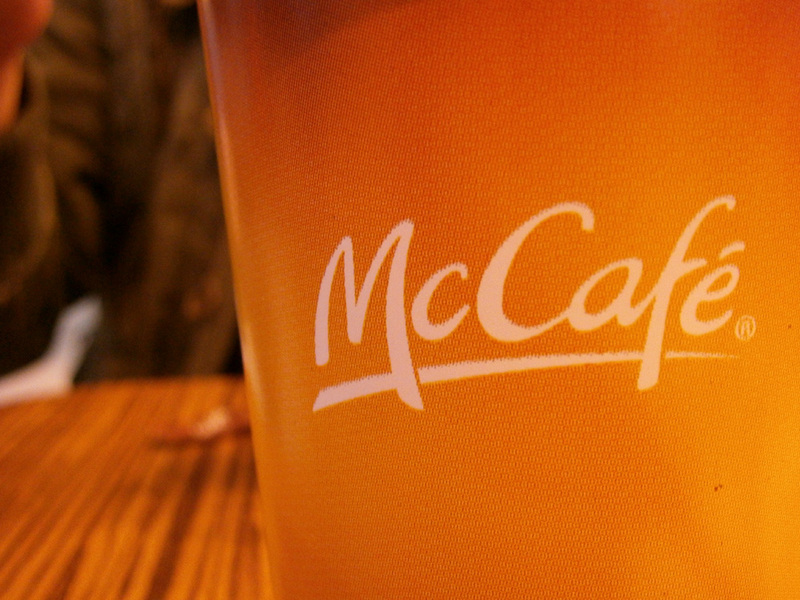 But in McDonald’s, you can have a good breakfast in less than KRW 4,000 and that will include a cup of coffee. Yey! It has been days since I last posted on my blog because I found it extremely hard to open WordPress without going into too much detail of the things we did for a particular day. As expected, we had a blast in Seoul, notwithstanding the amount of mishaps that happened to Mon and I within four days (like leaving my earmuffs in the guesthouse before going to Nami Island, and eventually losing them in COEX Mall on our last night before heading home! I almost cried).